Last year, lawmakers passed a bipartisan bill to allow Mainers 18 years and older to get the life-saving, overdose reversal drug, which is also known as naloxone, over the counter, without a prescription. In Maine, there's confusion at the state's Capitol over new rules to make Narcan more accessible. The state's Board of Pharmacy approved the rules, but has been waiting for Gov. Paul LePage to sign off on them before implementation. It has been five months of waiting. "It's unconscionable," said Democratic Speaker of the House Sara Gideon. With Mainers dying from overdoses at a rate of more than one per day, she said there's no time to waste. 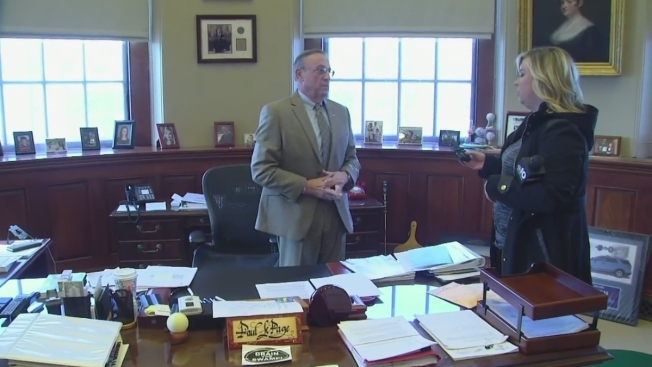 In an exclusive interview, LePage insisted that he hasn't received the Narcan rules, and said it's not his job to sign off on them. "I don't sign rules," he said. He said he also doesn't support the rule change. In the past, LePage has said Narcan only encourages addicts to keep using. On Monday, he said it doesn't make sense to let an 18 year old purchase Narcan, while the age to purchase cigarettes has been increased to 21. A sponsor of the Narcan legislation, Rep. Karen Vachon (R-Scarborough) said it's frustrating to be at this stand-still. "[The rule implementation] should have happened months ago," she said. "I can't understand what the hold up is." Speaker Gideon has sent a letter to the Board of Pharmacy asking them to enact the rules without the governor's signature. She said technically they don't need his approval -- but it has been standard practice to get the governor to sign off on these kinds of changes. "It's time for the administration, or the Board of Pharmacy, to do their job and make sure we are saving people's lives," she said.